Big Brother Naija never disappoints when it comes to a Live Show and last night has been no different as a housemate, Anto, was evicted from the BBNaija House during a thrilling and emotional 90 minutes live show. 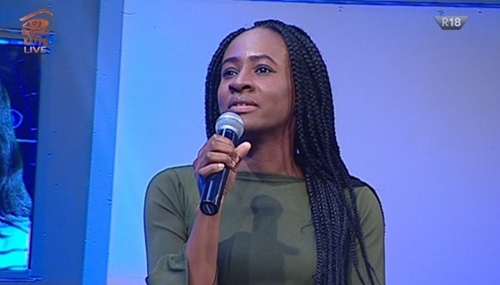 The Sunday night Big Brother Naija eviction show, has seen a housemate, Anto, evicted from the house and has become the 11th housemate to be shown the door. 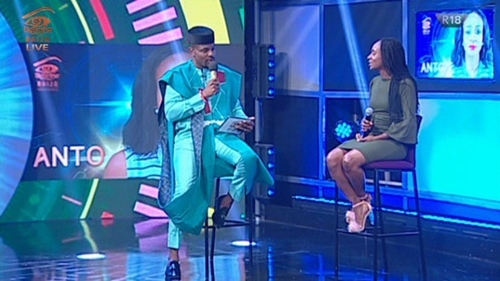 Earlier in the week, a total of 8 housemates - Anto, Teddy A, Alex, Lolu, Cee-C, Tobi, Miracle and Bambam - were up for possible eviction this week. While speaking to Ebuka after her eviction, Anto said her aim was to win the Big Brother Naija prize money of N45 million, adding that the first person she had a crush on in the House was Tobi but “now they are friends”. She also noted that “Tobi needs to grow up because he is childish”. The American-born housemate who escaped eviction last week along with her partner, Miracle, told Ebuka that she was initially attracted to fellow housemate, Tobi. During her post eviction chat with Ebuka, Anto confirmed Cee-C’s possessive attitude towards Tobi. “I could see Cee c did not like it when I interacted with Tobi”. 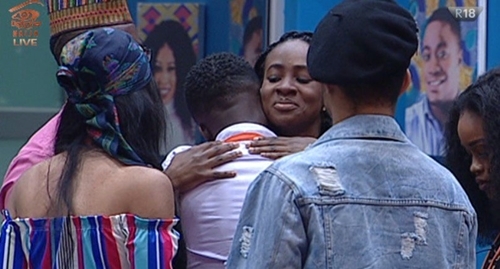 The outgoing housemate took the opportunity to clear up her future with fellow housemate Lolu. She admitted to spending so much time with him because she genuinely likes him, although she claimed to be open in the future. “I like him, he is my friend, I am not promising anything”. Anto who had earlier disclosed that she would build a house and start a business for her mother in the village with the prize money if she emerged winner, while speaking with Nina during a task where housemates were told to recreate their diary session with Biggie, on Tuesday. Nigerian singer, Simi, performed her hit singles Owanbe during the live eviction show held in South Africa. Previously, fellow housemates Leo and Ifu Ennada (Lifu), Bitto and Princess (Pritto), Deeone and Vandora (Vandee), Angel and Ahneeka(Gelah) were evicted from the show alongside Khloe and K-Brule (Ksquared), who were disqualified.